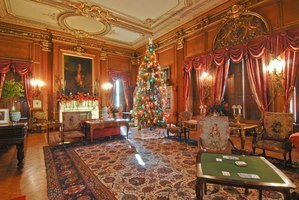 Celebrate the joy of the holiday season at more than 40 events at New York state parks or historic sites. 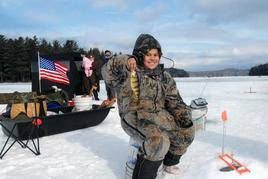 As part of Governor Andrew M. Cuomo’s efforts to encourage winter tourism, New York State is waiving fees on snowmobiling and ice fishing this winter. The weekend of January 16-18 (Martin Luther King Jr. Weekend) will be a free snowmobiling weekend to encourage out-of-state and Canadian snowmobile enthusiasts to sled in New York State. 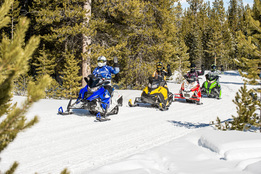 State registration fees will be waived for properly registered and insured out-of-state snowmobiling enthusiasts wishing to explore New York’s 10,500 miles of snowmobile trails. Information on snowmobiling, including online registration for out-of-state snowmobilers is available here. 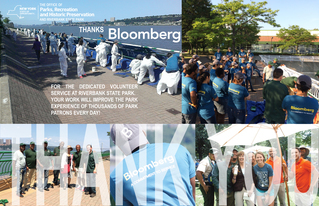 Hundreds of volunteers from Bloomberg LP recently completed significant work at two State Parks in New York City. At Riverbank State Park in Manhattan, over 400 college intern volunteers and 200 corporate volunteers painted 3,000 linear feet of sea rail and planted 400 perennials in the park’s courtyards. Together, they donated 6,000 hours of labor and $40,000 in materials and supplies. In October, 100 corporate volunteers joined community members at Clay Pit Ponds State Park Preserve in Staten Island to install 800 linear feet of deer fencing; paint the long barn and farm house and remove 15 yards of invasive species. Together, they donated over 500 hours of labor and about $5,000 in supplies. 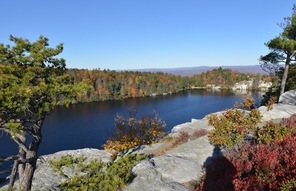 Governor Cuomo recently visited Minnewaska State Park Preserve to announce a $7.3 million plan to modernize the park gateway and better accommodate the growing number of visitors to the stunning destination on Ulster County’s Shawangunk Mountain Ridge. The project – featuring a new 6,000-square-foot visitor center – is supported by a pledge of $3 million in private philanthropy from the Open Space Institute. How long have you been with the agency? Since May of 2007. What does someone in your position do? 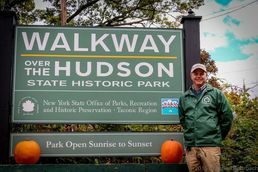 Regardless of the varied positions and responsibilities I have held since joining Parks, I keep the agency’s mission statement as my primary goal: to provide a safe and enjoyable recreational and interpretive opportunities for all New York State residents and visitors; and to be the responsible stewards of our valuable natural, historic, and cultural resources. What’s the coolest thing you’ve ever seen? That’s a tough one to answer. I have the satisfaction of telling people I work where they come to vacation. How cool is that? To narrow it down to one thing would be impossible. There are so many things to see and do in our state park system. What’s the coolest thing you’ve ever done? The most enjoyable experience so far was the Starry Starry Night Friends Gala held on the bridge featuring sparkling lights and tents, and attended by more than 400 guests to benefit programs at the Walkway. Is there a destination you’d recommend to someone? 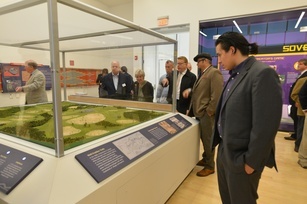 All of our historic sites and parks in the Region are unique and awe inspiring. Sites and parks from founders of our country to philanthropists and artists we have it all, each one is worthy of a visit! But given the option to choose one, it would have to be the Walkway over the Hudson….for obvious reasons. What inspired you to work in the park system? I was inspired originally because my background in historic restoration and a love of the outdoors. In conjunction with that I would say now it’s the people. Their reaction the first time or many times visiting the Walkway is an inspiration.